What are the benefits that customers will get from using your service? Each on their own line. Here we are going to write all all the benefits a customer will get when using your service. The benefits should support the main UVP (Unique Value Proposition) that you will write up in the next task. The benefits are supportive in the way that it helps customers understand how you plan to deliver your promise. The benefit describes what a feature can do. A feature is the description of what a function/feature is. Customers respond a lot better with "benefits", which we will come up with in this section and which we will use as headline and sub-headlines for your service. A good benefit is described by clearly "stating" what a key feature does, from your customer's perspective - something that you know they want to be able to do. A feature might be “Tools that saves your tasks”, but a benefit is “Track the progress of your startup" The benefit communicates the specific end result from using a feature, and not the process. However, that's not to say features aren't good. The point is to fully communicate with your customers what they are getting. You want to make it as layman as possible, and usually thinking in benefits is better than in features. If a feature can let customers know what they are getting, then that's fine too. We'll come up with different examples below to help you understand. Capture anything, Acess Anywhere, Find things fast. To communicate with your customers, you want to list out the features, but in benefit-form. 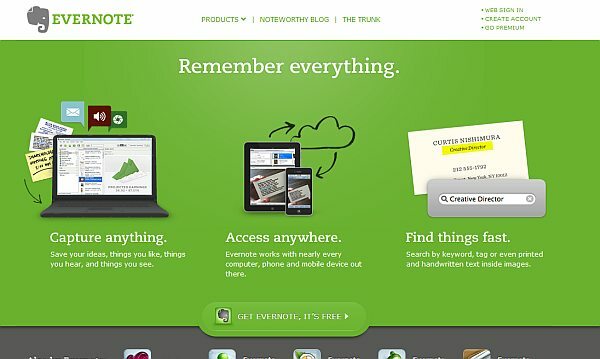 Case Study (example above): Evernote does a great job listing their 3 main benefits "Capture anything, Access anywhere, and Find things fast". Notice how they tell you what you'll get from the Evernote features, and not just throw the features at you expecting you to understand. Just to take note how their UVP is "Remember Everything". It's super awesome. Also, Notice how below every benefit, there is description of the feature. So what Evernote did was to list the benefits, and tell you exactly how they deliver the benefit (feature). However, here's an example that does a good job communicating via features. 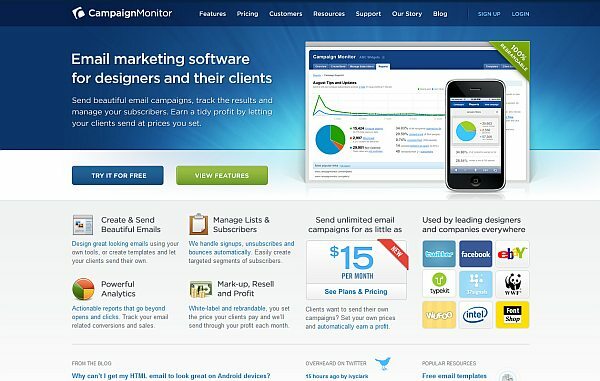 Case Study (example above): With CampaignMonitor, You can see that their main benefit is "Email marketing software for designers and their clients". The headline says exactly what it is, even though it looks like a feature but it really isn't. It does a perfect job letting customers know what they are getting in the end. 1. Think about what your customers want to achieve in the end. 2. Think about what keywords they are thinking about. Keywords help with triggering their buying emotions. 3. Find a good way to describe it to them, whether by a benefit or a feature. 4. Convert the steps above into short and memorable sentences.